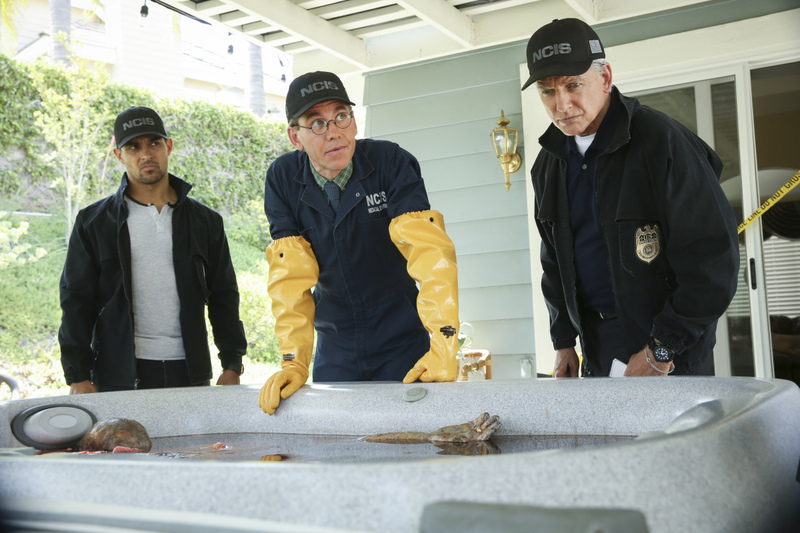 Episode 16×02 “Love Thy Neighbor” — After a Navy lieutenant is found murdered in his hot tub, the team interviews several families in the victim’s peculiar neighborhood. Also, Torres must face the consequences after a volatile night out with Palmer. Guest cast: Ben Bodé (Dan Reynolds), Lise Simms (Kenna Reynolds), Robin Patricia McDonald (Loni Braddish), Ralph Cole, Jr. (Gary Clifford), David Pressman (Lewis Dacey), Ellie Araiza (Sheila Mooney), Mann Alfonso (Edgar Fitz), Don Brunner (David), Cory Tucker (Brendan), Eliza Shin (Myrna), Nick Alvarez (Jonny). Air Date: Tuesday, Oct. 2 (8:00-9:00 PM, ET/PT) on CBS.